What Is a FICO 8 Bankcard Score? There’s no doubt about it: The credit rating system used in the United States is hard to navigate. Staying on top of your score can feel overwhelming, especially when the rules of the game change. The Nerds recently found out that a special type of credit score developed by the folks at FICO has started to gain traction among lenders. We did some digging to find out what the FICO 8 Bankcard score is all about, so be sure to take a look at the details below. This number could be what stands between you and your next credit card. Every time you apply for a loan, your bank pulls your credit to decide whether or not to lend or grant the loan. The bank is most likely looking at your FICO score, which is the most commonly used credit rating model in the United States today. In other words, the FICO 8 Bankcard Score doesn’t consider all credit to be equal; this is the main difference between it and your traditional FICO score. The FICO 8 Bankcard Score narrows in on your behavior with credit cards specifically, and rewards or penalizes you accordingly. This is why credit card companies are starting to look at your FICO 8 Bankcard Score. The score range is 250-900. This is broader than the traditional FICO score’s range of 300-850. Both the base FICO score and the FICO 8 Bankcard Score look at similar credit-related behaviors. However, some factors are weighted more heavily in the FICO 8 Bankcard Score than they are in the conventional FICO score (more on that in a minute). The New York Times reports that many consumers’ FICO 8 Bankcard Scores are very similar to their base FICO scores. This makes sense given that similar metrics are being used to create each score. Becoming an authorized user may not help – People with poor credit sometimes convince a friend or acquaintance with good credit to designate them as an authorized user. This is meant to help improve bad credit faster. But due to some sketchy tactics used by past customers, your FICO 8 Bankcard Score might not be helped as much by gaining authorized user status. A high utilization ratio hurts more – In the conventional FICO model, your credit utilization ratio accounts for 30% of your score. 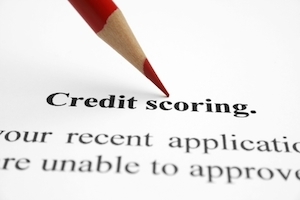 In the FICO 8 Bankcard Score algorithm, credit utilization is more closely scrutinized. This means that carrying a big balance on your cards will do more damage to your FICO 8 Bankcard Score than it will to your base FICO score. One-off late payments won’t pinch as much – Your history with paying your bills on time accounts for the biggest part (35%) of your conventional FICO score; missing a payment by 30 days or more could cost you big points. However, in the FICO 8 Bankcard Score model, an isolated late payment won’t sting as much. But be careful – if you habitually make late payments on your credit card bills, your FICO 8 Bankcard Score will suffer more than it would in the traditional model. It’s not completely known how many lenders are using the FICO 8 Score when deciding whether or not to give you a credit card, nor is it totally clear how to build a high score. This is frustrating if you’re trying to keep all your credit ratings in good shape. For the purposes of the FICO 8 Bankcard Score, it’s best to pay special attention to the first two factors, since they appear to carry more weight than the others. The bottom line: The FICO 8 Bankcard Score is designed to put more emphasis on your financial behaviors with credit cards. It’s unclear exactly how this score is determined, but the Nerds will be sure to keep you in the know. Check back often for updates!